Eco-labels | Institut Bauen und Umwelt e.V. Eco-Labels – What’s Your Type? Eco-labels are designed to provide environmentally-relevant information about a product to purchasers. At the same time, by way of clearly-defined issuing criteria and steadily increasing requirements, they are intended to create an incentive for continuous improvement in the quality of products and product information. A variety of eco-labels have now established themselves on the market and can be used by manufacturers, on a voluntary basis, to label their products. But, how do they differ from each other and what are the advantages and disadvantages of the various types of eco-labels? Each of us comes into contact with eco-labels in our everyday lives, whether we realize it or not. Particularly as consumers, we put our trust in the product packaging labels that can be found in every supermarket or building supply centre. 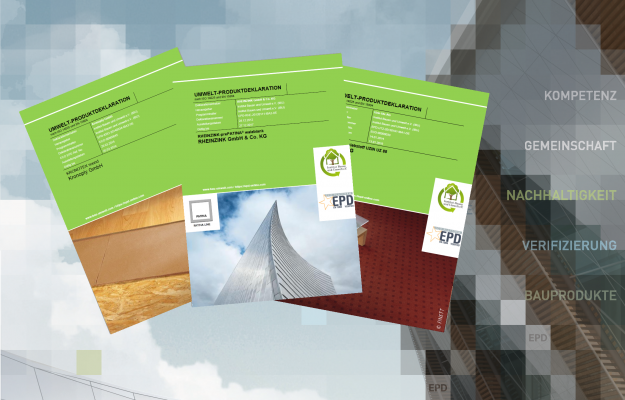 As a reader of this magazine, you also are a person who is well-informed about environmental product declarations – perhaps you have already even relied upon these during a building certification. Let’s now step back and consider the basics of the various eco-labels. This will help in categorising the types of information they provide at both the product and building level and in determining which type of eco-label is best-suited for a specific use. Type I eco-labels are designed to enable consumers to easily identify products that meet specific environmental or health standards. The criteria required be fulfilled by a particular product type are defined in advance by an independent issuing organisations. Manufacturers may then apply to be issued the label. This requires submission of documentation that substantiates the manufacturer’s compliance with the criteria that has been established. Depending on the program, evaluations may also include site inspections, sampling, and laboratory testing. If all issuance criteria have been met, the manufacturer will be permitted to use the label on the product that has been evaluated. The greatest advantage of Type I eco-labels is their user-friendliness. A product displaying this label fulfils the requirements that were applicable at the time of issuance. Type I eco-labels are therefore particularly well-suited for products where a direct comparison with other products is possible and informative, including such products as electronic devices, cleaning supplies, and other consumables. Assessing the advantages of Type I eco-labels for building materials is more difficult, since it is only in combination that these constitute a finished ‘product’: a building. Here, issuing organisations can only estimate which criteria at the building material level will later result in construction of a complete building that is a healthy and environmentally-friendly living space. The intended simplicity of this label can even be a hindrance in this situation: Detailed information that would be useful at the building level is generally not provided on Type I eco-labels. Other difficulties can arise due to the lack of comparability of Type I eco-labels, since each issuing organisation is permitted to determine its own criteria and testing methods. In addition, issuers must also first ascertain whether the criteria that has been established for a specific label is even of any significance for the building project in question – as well as determining which labels would be best-suited for which product groups. It must also be borne in mind that, due to the large number of different labels, it would be virtually impossible for a manufacturer to obtain all of the various certifications that are available for a single product. There are, therefore, many products that might meet the requirements for a particular certificate but, due to the expense involved, will not possess that certificate. If a decision for a specific label is made, this can thus severely limit the available product portfolio, even in the early planning phases. Particularly in public tenders, therefore, alternative documentation of compliance with certain award criteria is permitted. However, this requires a comprehensive analysis of the underlying certificates and can result in a considerable increase in workload for issuing organisations, builders, and manufacturers. 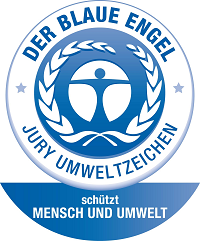 The ‘Blue Angel’ is the eco-label of the German Federal Ministry for the Environment, Nature Conservation, Construction, and Reactor Safety (BMUB). It is issued by RAL gGmbH and can be found on over 12,000 environmentally-friendly products and services. The product groups currently being evaluated include furniture, cleaning products, electrical appliances, paper, vehicles, and various building materials, such as paints, flooring, and insulation. When manufacturers, manufacturers’ associations, or vendors wish to call attention to specific environmental or health-relevant characteristics of their products, Type II eco-labels can be used for this purpose. These self-declarations are not backed by independent testing or evaluation – however, they are also not generated in a legal vacuum. Type II eco-labels must comply with the requirements of the DIN EN ISO 14021 standard. This standard includes definitions of requirements for products that are intended to be labelled with legally-protected terms, Including, e.g. ‘compostable’, ‘designed to be dismantled’, ‘recyclable’, ‘energy-efficient’, and ‘refillable’. In addition, it prohibits non-specific statements, such as ‘environmentally friendly’, ‘green’, or ’emission-free’. Moreover, since there is no method that permits the measurement and assessment of the complex topic of ​​sustainability at the product level, the standard also explicitly bans the use of the word ‘sustainable’ in Type II eco-labels. Along with the above-mentioned benefit of labels as a consumer-friendly and clear source of information, Type II eco-labels offer the advantage that, in these self-declarations, manufacturers have much more flexibility in responding to specific customer requests and market requirements. While Type I eco-labels must be developed in advance, in conformance to the requirements established by the issuing organisation, with self-declarations, manufacturers can, in a non-bureaucratic way, highlight specific product characteristics – and, if changes are later made to production, the labels can be quickly adapted. Since the manufacturers themselves are able to determine how many and which product features they choose to emphasise, consumers then must carefully check to see whether or not the selected criteria bear any relationship to the properties they desire. In selecting particular characteristics, manufacturers can also sometimes overlook other criteria that would be much more informative for environmental and health considerations. In addition, there is normally no independent verification of compliance with the established criteria, significantly reducing the meaningfulness of the self-declarations in comparison to the other types of eco-labels. Of course, however, it is prohibited for manufacturers to make false or misleading statements about their products or to violate fundamental requirements of the DIN EN ISO 14021 standard. Type II eco-labels may be freely selected from and issued by an issuing organisation. The use of these labels on products, however, mandates compliance with the DIN EN ISO 14021 standard. This means, for example, that the symbol with the three arrows may only be used for products that can be proven to have been recycled (left) or that include recycled parts in a proportion that is consistent with established requirements (right). The objective of Type III eco-labels that conform to DIN EN ISO 14025 is the neutral collection and communication of environmental information. In contrast to the previously-described eco-labels, here, no specific product properties are evaluated and no certificate is issued. The basis for these so-called “environmental declarations” is the life cycle assessment, which determines the “ecological footprint” of a product. The data that is provided by the life cycle assessment as to, for example, energy consumption and greenhouse potential is displayed in a resulting table, along with any necessary explanations. In addition, Type III eco-labels may contain further information, such the ingredients or components used, relevant emissions during use, or information about the post-use phase. The information required for a specific product group and the manner in which it will be displayed are determined in advance by the individual programme operators, who also arrange for independent verification of the product information before it is published. To obtain this verification, manufacturers are required to submit documentation, such as test certificates, to a recognised institute. The underlying life cycle assessment must also be described in detail in a background report that includes information on all relevant processes and scenarios. The report must document compliance with all relevant standards and regulations, as well as with the specific requirements of the programme operator. A significant advantage of the declarations is that they facilitate a free and informed choice of products. The independent verification, with no connection to any specific application area, guarantees a high level of trust in the information provided. It is also not necessary to obtain any further background information in order to be able to use the declarations – all environmentally-relevant information is presented transparently and clearly. Therefore, environmental product declarations are specifically listed in the Construction Products Regulation as providing acceptable evidence for assessing the sustainable use of natural resources at the building level. In addition, the data and information contained in the declarations can be used as a basis for assessment in building certification systems and even for Type I and II eco-labels. One characteristic of Type III eco-labels that is often perceived of as a disadvantage is the lack of a product assessment, since a Type III eco-label could be created for basically any product: the existence of a declaration is not an indication of the environmental performance of the product. Consumers must therefore independently evaluate the information and come to their own conclusions. This, however, also allows them to design their own evaluation criteria and to be able to select products according to the properties that are relevant to them. Finally, the knowledge that their data will be published is a motivating factor for manufacturers to become more informed about environmental aspects and to improve the ecological quality of their products. Environmental product declarations from the Institut Bauen und Umwelt e. V. (IBU) are Type III eco-labels that comply with DIN EN ISO 14025. They are based on a life cycle assessment and provide additional information on environmental and health protection. The development of the IBU declarations programme involves the participation of an independent advisory council, made up of representatives of a number of authorities, governmental offices, and environmental groups, along with renowned construction engineering scientists. To date, the IBU has published more than 1,600 environmental product declarations (EPDs), all of which have undergone independent third-party verification. All EPDS are clearly and uniformly structured, enabling users to quickly find the information they are seeking. Eco-labels contribute significantly to the selection and development of environmentally-friendly building products. Their uses range from providing clear consumer information all the way to serving as evidence for building certifications. In assessing the individual types of eco-labels, the specific purpose and category of the product to be evaluated must be taken into consideration: While the assessment criteria contained in Type I and Type II eco-labels is primarily suitable for end-products (e.g. electric appliances) and can also directly serve as evidence of efficiency, Type III eco-labels can be utilised as an important source of information for products whose intended ultimate use will only take place in interaction with other products, for example, at the building level.